Who is ready for Summer weather? Me, kinda. Who is ready for Summer food? Me me me! 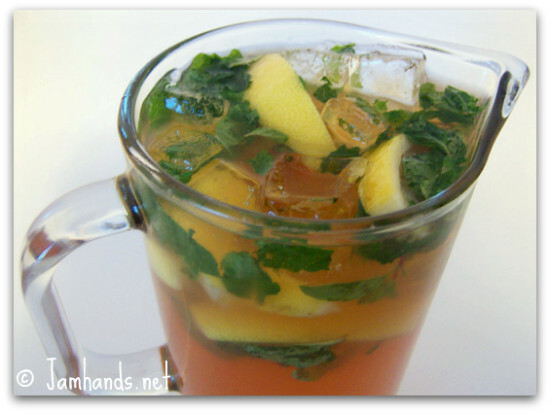 So besides being a refreshing beverage, this Bourbon Mint Iced Tea has the bonus of having booze in it. Of course if you don't drink alcohol you can leave it out. thanks girl!! you may not know how to sew on a buttin but your food makes my mouth water, I love looking at recipies, but can hardly ever get them right..your blog is amazing and tasty!